At the recent Community Reading event held at the NYU Abu Dhabi Art Gallery and co-sponsored by the Gallery, Electra Street, and the Arts Center at NYU Abu Dhabi, it became clear that the novel resonated deeply not just for Americans, but also for readers from around the world—and, in fact, had a particular resonance for readers who had come to Abu Dhabi from somewhere else, not unlike Gatsby, Nick, Tom, Daisy, and Myrtle coming East in the novel. NYUAD Literature professor Cyrus Patell asked whether the real love story at the heart of the novel might not be Gatsby’s infatuation with Daisy, but rather Nick’s infatuation with Gatsby, who emerges as “great,” after all, only because Nick’s narrative portrays him that way. Novelist Siobhan Fallon noted that each of the several times that she read the book, it changed for her, with different elements coming to the fore depending on whether she was a teenager, a college student, or a mature, practicing writer. Novelist and journalist Miguel Syjuco recounted how the novel moved him as an aspiring young writer in the Philippines, giving him insight into the privileged milieu in which he had been raised. NYUAD Literature and Creative Writing student Ayah Rashid noted that both the movie and the 2013 film adaptation directed by Baz Luhrmann brought alive the excesses of the Jazz Age, while offering us ways of thinking about the ways of life we experience in Abu Dhabi today. And NYUAD Literature professor Deborah Williams, who served as moderator, described the book as a novel of the Emirates, because it is a novel about self-reinvention and mobility, in which the major characters have all come to New York’s “East Egg” and “West Egg” from somewhere else. The wide-ranging conversation that ensued touched on the “universal” aspects of the novel and the ways in which Fitzgerald draws on old literary forms like epic and tragedy, as well as the ways in which The Great Gatsby (and its re-presentation in the form of the Elevator Repair Service’s theatrical piece Gatz) resonates with the current #MeToo moment in the United States. We’d like to keep the conversation going, here on line, and we invite Electra Street readers who have read the novel, seen one of the film adaptations, or attended a production of Gatz here in Abu Dhabi or elsewhere in the world, to leave a comment below. 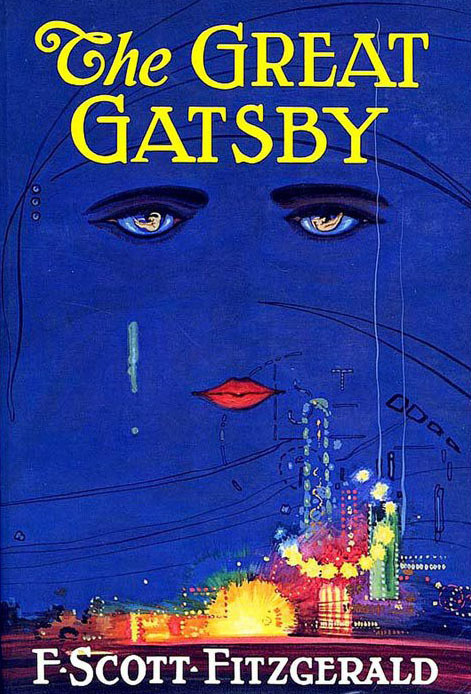 What is it about Gatsby’s story, as told in novel, film, or stage production, that resonates with you? What did you see in it that you’d like others to see? Electra Street editor Deborah Williams’s 2016 column on the novel from the pages of The National. Electra Street managing editor Chiran Pandey’s discussion of the ways in which Gatz offers up a model of literature as a deeply communal experience. Another modernist classic that explores the ideas of self-re-invention across class boundaries and the inescapability of the past is William Faulkner’s Absalom, Absalom!, published in 1936. With a twisting, spiraling experimental style that makes use of multiple narrators trying to reconstruct past events, the novel tells the story of Thomas Sutpen, who is turned away from the front door of a mansion as a boy and vows to get a mansion and a dynasty for himself. Even more so than Fitzgerald’s novel, Absalom seems to lay everything out in the first chapter — but the novel is full of surprises. Highly recommended for the adventurous reader! As a side note, Elevator Repair Service adapted Faulkner’s earlier experimental novel The Sound and the Fury. That novel is equally magnificent!